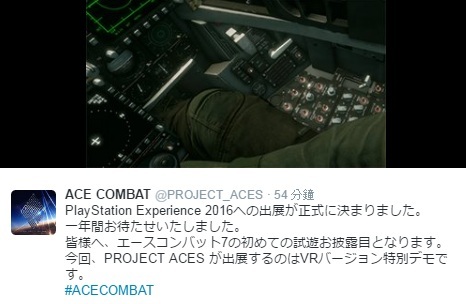 ACE COMBAT 7 will be shown at PlayStation Experience 2016!! It's been around 1 year since the last announcement, but PROJECT ACES is now proud to present a special VR demo for this event. Experience ACE COMBAT 7 gameplay for the very first time!